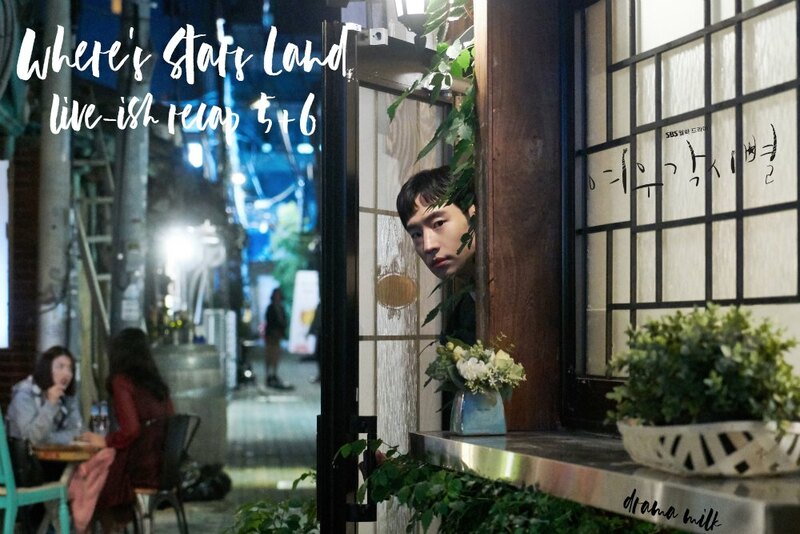 How cute is Lee Je-hoon peaking his head out of that mysterious shop in Seoul? Will we get into that today? Because there is a lot to get into. Let’s see what we know about this mystery so far. We know that, at the least, Soo-yeon has a magnetic arm that he does not feel pain on, we know that his boss, Team Leader Yang Seo-koon knows about it, and we know that he goes to a secret place in Seoul named Fox Bride Star (above photo). I assume the patrons of this establishment also know about him. We also know that Soo-yeon has a brother who appears to not remember him. So many questions. I’m ready to start digging for answers, but I don’t want to get too dirty just yet. VO – Yeorum, where appa works, stars land everyday. Stars land and leave. Image of all the planes landing and taking off. YR – At that place, I met that guy. The guy with the arm and hand that does not feel pain. Montage of all the pain moments that did not phase Soo-yeon. She also thinks about how he wants to work quietly and not get attention. Yeorum watches Soo-yeon working and then approaches him. He gives her an order so she answers. VO – What happened to him? Was it from birth or was it an accident? He gets off the phone and asks her if she got in trouble again with something. She tells him that she won’t tell anyone what he told her. Flashback to him telling her that he does not feel pain in his hand. He asks her if she can check the air side. Then he walks off. But she runs after him and asks if they can eat lunch together. He basically tells her to keep to herself, this is the last time they will eat together since hey are moving departments. She wonders…..moving departments….manager Gong…is this a bad combination? Cut to Manager Gong telling her to pack up, she does not have to work in terminal one. So pack up. She says she did not get any message from HR. He tells her that they will contact her, just pack up. He does not know what happened, it is a very high order so just take it. And start packing up. She looks around concerned and goes to talk to Team leader yang. She needs to know the reason, she has only been there for one week, I tried my best! I was late the first day but I worked hard, so why do I need to leave again? I want to know the reason. So you don’t want to move with me? If you don’t like it then I can’t help you. Yeorum is all like huh? We are moving together? She finally looks around and sees that everyone is packing, they are all going together. She runs over and asks Soo-yeon if he is going to? Why didn’t you tell me, I thought I was the only one kicked out! She runs back to pack but is so behind everyone else. She has to hurry and pack and then catch up with everyone. They all get on a bus and are driven to a different part of the airport, terminal 2. In the airport, a lot of the luggage is checked for what they are carrying like food or anything else. if it has something forbidden or something like that then your luggage will have a huge sticker on it. One of the passengers sees that her luggage has a huge sticker on it, she wonders what she should do. Meanwhile, our team gets to the most amazing terminal in the world, terminal 2. It looks so pretty. There is even a robot helper rolling around collecting dust. It keeps saying dust…dust…dust…. and following Soo-yeon around. The team goes to their new office which is amazingly large and airy. Yeorum immediately thinks it is daebak. In-woo is in charge of this terminal and greets the new team as they arrive. yeorum recognizes him as the person that reprimanded her once before. he told her to control her temper and gave her a 2 month reduced salary. She hides behind Soo-yeon. But then Soo-yeon walks up to In-woo so yeorum has to hide somewhere else. 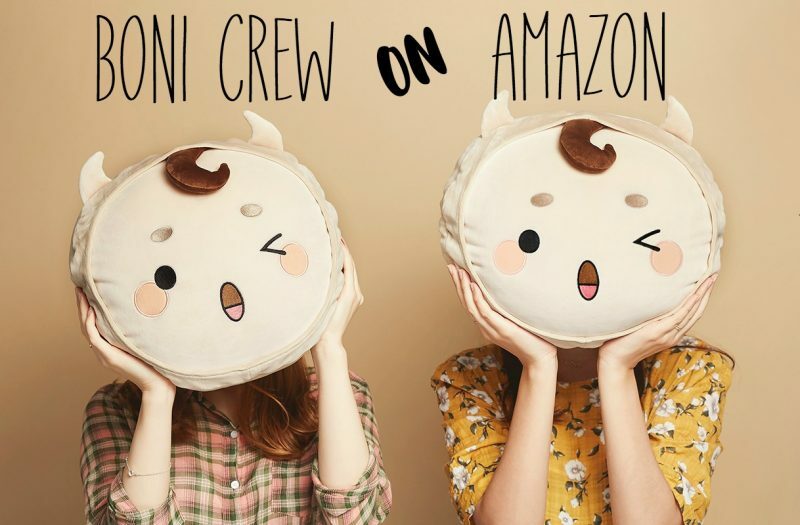 ALl the introductions are made with the manager and team leader and Soo-yeon. they look at each other but they do not greet each other. Soo-yeon just goes to sit without saying hello, which makes the manager commplain about kids nowadays. He also wonders where the other one is. The other one is still cowering behind a sign. her old team leader spots her which makes her knock over everything and spill a lot of items on the floor. In her mind she thinks that she is going crazy. In Soo-yeons mind, he is thinking about when he met with Seo-koon earlier. She was smoking outside. She told him that she smokes when she has a lot of stress. He asks her what is up? Why is your cell phone off? Did you quit your personal relationships also? He tells her that he wants to live normally, not like a strange person. She tells him that he is handsome and has a strange personality so he is already not normal. he says he is not joking, she says hse is not joking either. She will meet him and everyone with him. When they do, you will meet someone that you are curious about. Flashback to an accident that involved his brother. Seo-Koon tells him to come to work naturally as if nothing happened. At work, Seo-koon is brought out of his thoughts by looking at his hand and then In-woo. But Yeorum comes up to him and asks to talk to him right now. They go talk. She tells him that it is an emergency, her backis against the wall, she has no where to go. All the team leaders are here. In-woo gave me that sentence of a reduced salary and thinks I have temper tantrums. And the traffic team leader hated me so much becuase I am a woman. he always said woman this and woman that. if I do it well then I was okay, but if I made a little mistake then he picked on it all the time. I HEAR YOU…..the traffic team leader lurches as he walks out. He tells her that she is talking bad about someone but her voice is high….sigh….not good as a woman. Yeorum – did you hear that? Not good as a woman….. But then In-woo walks by and they avoid each other. the team leaders all meet around a table. Traffic team leader, and merchant team leader (controls all the stores). It does not look like Seo-koon gets along with this team leader. they talk about marriage and divorce. Seo-koon wants to leave, but Hee-sung tells them that they have one more team leader here, the security team leader. he comes in on cue. So now all these teams work in the same office from now on. Seo-koon looks like she would rather jump in lava than sit at that table. Everyone greets the security team leader, Choi Moo-ja. Kwon Hee-sung tells them that they have team leaders because they want to run terminal 2 well. But YR tells Seo-koon that her department is the worst headache. The meeting adjourns. The security team leader asks Seo-koon why she is so upset, is it because of merchant team leader Heo Young-ran? She just wants the security leader to leave and go back to his own department, he can move wherever he wants to. She walks back to her seat in a huff. The manager asks her where Seo-yeon went, but she says not to call him back. Flashback to Soo-yeon and SK’s meeting the other day. He told her that it was uncomfortable because the security leader is interested in him. he told him that he would not follow them to the new terminal. In the present, she sulks since he did actually follow them. Meanwhile, Yeorum gets a pep talk from her friend, Eunsub. Soo-yeon overhears it and asks her what she is doing over there. het ells her that he is going to duty free. They end up going together. While walking, he tells her to take care of the things she does not want to hear before the things she wants to hear. Like with “you are a woman” things. Tell team leader that you do not like to hear that. But Yeorum thinks it would be trouble for her if she said it. Soo-yeon tells her to try it. But she thinks she is too low to say it. he will say she is just complaining. Soo-yeon tells her to stop thinking that way, if you do then yo will never hear what you want. they go back and forth about that for awhile and don’t come to an agreement. So she tells him that he can do the west and she will do the east. Meanwhile, the mystery woman went to the bathroom with all her luggage that had the huge sticker on it. She takes the sticker off but is caught by a person in the bathroom who tells the security that she spotted a woman that works there taking the sticker off. This woman is YJ, she works in security. The mystery woman complains to her and tells her to just go home. I am engaged tomorrow, this is my ring. Do you know who my father is? Young-joo tells her that she does not care who her father is. Good for you to have a nice father, but you shuld pay your taxes on these things. Yeorum watches this entire exchange. The woman tries to leave but the security person stops her from dumping the yellow tag in the trash. Yeorum steps in to help out and gets slapped in the process. So the security person steps in again and handcuffs(?) that woman on the ground after the woman tried to flush the yellow sign. More security comes in and wants to know what happened. Young-joo explains it all and then leaves. The woman yells a lot of complaints after her. Elsewhere, security team leader Moo-ja talks to Soo-yeon about how they both moved to this terminal. He tells his police officer, Dae-ki that this is the guy he was telling him about. Moo-ja wants to shake his hand, Soo-yeon looks at the hand, his hand starts to twitch. he tells him that he touched something dirty so he can’t shake his hand. then he walks away. traffic leader Moo-ja tells his security person to keep an eye on Soo-yeon, it looks like he is hiding something interesting. Soo-yeon goes straight to team leader yang and tells her that the traffic team leader moved there. he wants to leave. But she tells him not to avoid things just because you are different. I will take care of the traffic team leader. Cut to the mustery woman at secutiry. All the things she bought are being gone through. The woman tells her to shut up and bring the two woman that did this to me right now! They need to kneel in front of me. The security people all watch this woman and wonder what is going on in this situation. Inthe offices, the merchant team leader tells yeorum that she was violent toward a customer. yeorum says she did not. But they said that she put someone on the floor in the bathroom with the other guard. yeorum tries to explain it. The merchant leader wants to know the name of the other woman, but Yeorum won’t (or cant) say the name of that person. The merchant says this is not a good situation, that woman is a senators daughter and she has a mark on her face. Yeorum says that this woman started it, she slapped her face and bit the other girls arm. Yang tells the merchant team leader to stop, this is their problem not your problem. But the merchant says that the sentorts daughtes close friend is their top client. yang tells her to give that person her phone number, she will take care of it. Then she asks to see yeorum alone. The manager starts to talk bad about yeorum, but the merchant leaves without listening to him. meanwhile, Yeorum is talked to by her team leader and the security team leader. they want to know the other persons name. Yeorum tries to explain what happened. The security person did not do anything until I was slapped. MY says he understands, but the customer was hurt so we need to try and take care of it. Do you know her? Yeorum says that she does not know her, it is her first day here so she does not know her. Yang understands and tells her to go to her seat to wait for the following order. But the traffic person says that he thinks she knows who it is. What should they do? Dae-ki also knows who it was, but he does not say. Instead, he calls Young-joo and asks if she used the bathroom in the duty free area. Later on, there is an issue with the water purifier. So they have to go fix it. Yeorum is sad at her desk so it looks like Soo-yeon is hesitant to ask her to fix it. he goes instead. The senators daughter is there looking upset as Soo-yeon shows up to fix the water filter. Elsewhere, Executive Hee-sung shows up to yell about the employee that was violent toward a customer. yang tries to tell him that it was not her persons fault. But Hee-sung says that the truth does not matter. She needs to apologize. they will have a news report and a media circus unless it is done. Do you want that? Yeorum speaks up and tells them that she will go. yang tells her to be quiet, but Yeorum says that she will go. She can do it. Hee-sung tells her to apologize, if she does not apologize and it is spread around, then you are fired. yeorum takes a deep breath. All the other team leaders look angrily at yeorum or like they don’t care. Meanwhile security guard Young-joo is trying to get back to the airport. Yeorum goes to apologize just as Young-joo gets to the airport. Cut to Yeorum, manager Seong-chul, and team leader yang all standing in front of the senators daughter. They try to apologize but Soo-yeon makes a lot of noise as he tries to fix the water filter. It ends up making the moment very comedic as he uses he screw driver to make a lot of noise. Yeorum thinks about what Soo-yeon told her about taking care about what she does not want to hear first. You shuold say how you feel. If you just shut up and never speak your mind about what you think is right, then what you want to hear will never be heard. He looks at her as she thinks about this. The manager asks her what she is doing just standing there, apologize. The senators daughter asks her why she is alone? Where is the other security woman? Yeorum tries to say something. YR – What happened in the restroom…..apologize…..apologize….to me. Everyone looks at her. The senators daughter looks irate. YR – You did wrong. You took out the sticker and you were violent towards us. You did it first so you shuld apologize to us first. You slapped me, apologize for that. The team leader, yang Seo-Koon, is very happy to see this. VO – Until now, why was I always sorry about everything, why didn’t I try to face it. She imagines telling In-woo what really happened and defending herself. She did not make truoble with that person, she was protecting herself from sexual harrassment. YR – I am not servicing myself (my character). In the restroom, you were wrong and you should apologize to me. the manager starts to apologize for everyone. IT WAS ALL MY FAULT, FORGIVE ME. the senators daughter starts to just say that she will sue everyone as soon as her lawyer comes. But then Soo-yeon starts to play a recording. It looks like it is a recording that he made while he was there. Recording – Don’t tell my father, if he knows about it then he will kill me. I am just threatening to sue them. I want to make this duty free thing not happen. that is my goal. Soo-yeon apologizes and says that this kind of thing was accidentally recorded. She asks who he is, I thought you were the water guy! He says he is from the service team, they service this filter. She yells about her father, do you know who he is? Soo-yeon tells her that they know who he is. She shoul dbehave spoiled at home to her great father, she should not behave this way outside. She throws a temper tantrum, yells, and throws things around. they all just let her do it and shrug. Outside, Young-joo runs to the room and asks Dae-ki what happened? He says that the conversation went long. So it might not have gone well. She goes to go inside but Yeorum comes out and sees her. She tells her that it all wrapped up, she did nto need to come. then she walks off. The manager comes out and asks if Yeorum is stupid or something? Can that woman just say all those things on the phone with you next to her? Soo-yeon says she is not stupid, she just ignored me. Flashback to the senators daughter ignoring Soo-yeon and telling her friend that no one else was in the room. But he was recording. the manager thinks that this is why they do that, they don’t think we are human. yang told the woman that she has two choices, she can pay the duty fee and leave or they can sue each other. The daughter yells. Yeorum goes to an area of the airport to look out the window at the planes. yang goes to talk to her afterwards. She tells Yeorum that she had a temper. Yeorum says that seh tries to calm herself. She apologizes for giving Yang a hard time. yang tells her that the team leader is the position that is supposed to have a hard time to cover for her employees, so it is okay. But I am actually happy that one of the female emplyees like you are raising their own voice. Good job. Yeorum finally hears “Good Job.” She is overcome with emotion and thanks her team leader. The team leader leaves and runs into Soo-yeon who is in the area. She asks him what he is doing. he says he is just walking by. Yang looks back at yeorum and looks at Soo-yeon, She asks him if he fixed it. He asks, the water filter? Yes. But cut to the water filter completely fall apart. Yang – that is good, from now on you will take care of the water filters. Can you do that? Soo-yeon – Okay, for now. Yang – that is good. She leaves and Soo-yeon looks at Yeorum. Flashback to when yang and Soo-yeon talked the night before. She told him to come to work as normal. But Soo-yeon asked about Han yeorum. SY – Han yeorum ….is she going with us? yang – Who else will take care of that trouble maker? Don’t worry, we will move together. Int he present, Soo-yeon looks at Yeorum trying to fan herself. But then the dirt robot comes and follows Soo-yeon around which blows his cover. It keeps following him around which catches yeorums attention. He awlks away from the robot all the way to yeorums side. He basically runs into her and stops right before his lips accidentally kiss hers. They look at each other and then look at the robot. It is a funny scene so they both smile. YR – Well, I wanted to text you. YR – I had courage to face that situation because of you. Thank you so much Lee Soo-yeon. SY – Well, can I ask you a question? Why dont’ you ask mea nything about my hand? You shuld be curious about it. YR – You caould have answered so many times about it. People would be curious about it but if you have to answer it a lot then it will hurt each time. Sy – It was an accident a long long time ago. VO – HYUNG HUNG HYUNG! He hits a car in his scooter and then flies across the street and hits another car. In the present, the brother looks at Soo-yeon talking to Yeorum, he looks at his brothers entire right side of his body. In the past, young Soo-yeon’s right arm and right leg are all messed up and distorted. In the present, Dae-ki and Young-joo waited for yoerum to thank her for what happened. yeorum tells them that they shuold drink together! She has a friend that knows of a good beer place. Cut to them at Eun-subs favorite beer place thta is actually in terminal 2. He says it is a good place, they can drink and watch planes land. Young-joo tells them that professionals don’t clock glasses (jang) we just drink. She drinks. Everyone else toasts. Eun-soo asks why they worked at the airplort. DK wanted a job with a uniform, Young-joo is a judo person, Eun-sub wanted money, yeorum tells them it is becuase of her appa. VO – Appa, at the place I work, stars land everyday. many hundreds of stars land and leave everyday. Appa called that place Fox bride Star. Elsewhre, Soo-yeon drinks a beer at another bar. This is the owner of Fox bride Star Bar, Mr. jang. he asks him if he is staying there? Soo-yeon says yes. Jang asks him if his arm is still sticky? Jang closes the door and all the windows so he can check Soo-yeon’s arm. In-woo talks to someone about his appointment on the weekend. he also gets some paperwork about it. The top image is his brother, Soo-yeon and the family member, mother. Kim Joo-young. he thinks back to the accident and how Soo-yeons body was cripled. He wonders how he recovered from it as he blinks back tears. In the Fox bride Star Bar, Soo-yeon pulls back his arm to show a lot of metal underneath. At the airport bar, the four others laugh and have fun. Soo-yeon keeps pulling back his arm as Jang looks at it with surgical binoculars. Soo-yeon’s arm is super bionic. It is like an I Am Not A Robot reboot reversal! But with a bionic person who is actually half robot. I am cool with this. Is his arm the only bionic part or half of his body? It seems like it is his arm and his leg. But it could be his entire right side. Yep, looks like arm and leg to me too! “I Am Not A Robot reboot reversal” yeah jaja I agree… It seems so far so good with this drama, right? thank you for your recap!!! It would make sense if his other parts of his body were bionic as well. Mostly as the rest of his body would have to compensate for everything that he lifts. I do wonder though where the blood was coming from in the earlier episode when he stopped the pipe. is his hand still real? or is it fake as well? But it explained why he seemed to favor his left hand and rarely uses his right unless under certain circumstances. I think that YR’s quiet curiosity will do SY good. He seems to open up to her more already compared to others. Probably because she still treats him normal and focuses on him the person rather than his arm. Poor boy needs some human connection. Right, he would need to have a bionic spine and skeletal system to support all that additional weight. I will just assume that they also invented an amazingly lightweight metal. Yippee!!! I love this show, and cannot wait for your recaps! So far, I like the way the drama is slowly doling out the mysterious background on SY. Think they might be starting to over-do YR’s ‘trouble-maker’ tendencies. Incheon Airport (that’s some pretty serious product placement) is such an interesting drama setting, with a lot of interesting potential stories.